The Orange Concentration Exercise is an easy way to develop the ability to concentrate. What is concentration? Concentration is the act of thinking about one thing for a period of time without having extraneous, non-related thoughts enter into your awareness. Alexander the Great once said that any person who could concentrate on one thing for three minutes could conquer the world. Because he was a military man, we tend to think that he was speaking about military conquest, and maybe he was. But we could just as well take his statement to mean that if we master concentration, our world will be under our control, that we will be able to accomplish whatever we set our mind and our will to do. The Orange Exercise is simple. As with any spiritual or mental exercise, choose a place that is quiet and free from interruptions. You will need ten to fifteen minutes to complete the exercise. 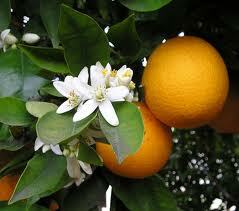 Place an orange, preferably a fresh one, on the table in front of you. As much as possible, remove any distractions from your field of vision. If necessary, you can place the orange on a clean white napkin or tablecloth. The object of the exercise is to think about the orange. If at any time your thoughts wander to something else, you are to discontinue the process and start over. You may start over three times. If the three attempts take only one minute, that’s it – the exercise is over. But that’s okay – at least you will know how much work you have to do. 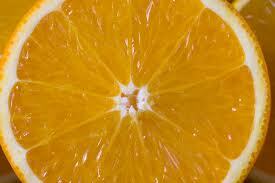 Begin by examining the skin of the orange – its texture, color, thickness, structure, etc. Don’t touch the orange – this is a mental exercise, not a sensory, tactile experience. Next, using your imagination, examine the layer beneath the skin, the connective tissue. Any thoughts related to its form, its function, or its structure are okay. You may even draw comparisons to other types of connective tissue, such as those in your own body, as long as you keep your thoughts connected to the orange. After that, examine the sections within the orange in the same way. Notice how they are composed of tiny sacs of juice (if you need to, take an orange apart and literally visualize how its made, sometime other than when you’re doing the exercise). Notice how the sacs are fed by tiny tubes that converge at the center of the orange, routing to the stem. Think about how the nutrients find their way through this vascular system, what drives the fluids, and what constituents you would expect to find in them. But don’t get too far off into other topics, such as the sun and the soil, unless you keep it within the immediate context of the orange. Next, examine a seed in the same way, beginning with its outer shell and working your way into its interior. Notice every aspect of it – its color, its weight, its texture, etc. Up until now, you have been analyzing the orange – taking it apart. Now you’re going to change direction. In you mind’s eye, which is to say your imagination, see the seed you have been examining planted in the soil. Watch it as it sprouts and breaks the surface of the soil, pushing its green stalk upward toward the light. See the leaves unfurl and the stalk gradually grow until it is a small seedling. Continue to watch as it grows into a sapling and then a tree. Keep watching it grow until blossoms begin to bloom. Notice how they spread their petals to take in air and light. Finally, see the fruit begin to form after a blossom has fallen off. Watch it until it ripens and reaches its full size and color. You have completed the exercise. All along this process, you may think of anything related to what you are watching. By doing so, you strengthen your ability to make associations. Just keep your thoughts within the confines of the context of the orange. If all the thoughts you could possibly think about the orange were put in book form, they would fill a large bookshelf. So don’t worry about getting bored or running out of things to think about! So, what’s going on here? We reason in primarily two different ways: analytically and deductively. Analytical reasoning starts with an object or thought and breaks it down into it constituent parts, with a mind to their interrelatedness. Deductive reasoning begins with a premise and takes that premise to its logical conclusion. By following the procedure as I have described it, you will strengthen your ability to think analytically and deductively, and you will be able to tell the difference. By being strict with yourself about the three-times limit, you will build a pattern of completion in your thinking process. The more you practice this, the better able you will be to think a thought through to its completion. You shouldn’t think about these things while you are doing the exercise. The only reason I’m giving them to you now is so that you will understand why it is important to do the exercise according to the instructions you have been given. 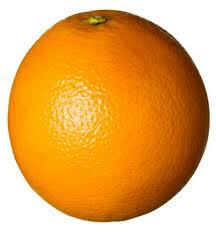 Remember that all you are trying to do is think about the orange. You are not trying to make it levitate. You are not trying to communicate with it. You are not using it as a means to tune into nature. You are not trying to burn a hole in your retina, either. If you need to, look away from the orange from time to time so that your eyes can stay freshly focused. By no means should you cause eyestrain. And, if anyone asks what on earth you are doing, just tell them that you are contemplating your navel. That’s the truth! Good luck. You should do the exercise for three weeks, at least once a day. Twice would be better; three times would be stellar. But if all you can manage is once a day, even then you will notice tremendous changes in your thinking. Believe me, you will be astonished! Thanks for posting the orange concentration exercise. This is good to do if only to increase self awareness. This is such a great exercise. Thank you for sharing!